We supply a wide range of stock or farm fencing. 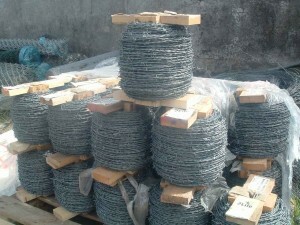 Including Sheep wire and Horse wire. Barb wire and chain link. 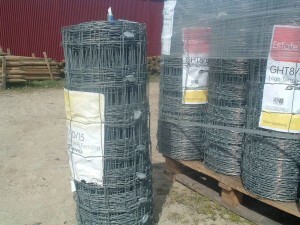 We supply and fit some of the best barb wire in the country. You can see our full range of options below. We supply high quality farm fencing to all residential and home, contract, industrial, cattle, sheep fencing, and horse fencing. All our stock is high quality, durable, strong and long-lasting for that weather shield. 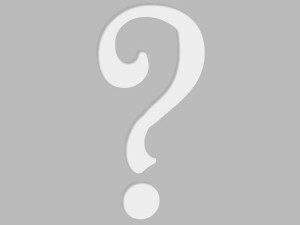 Get a detailed quote on all our products and services that we have available. Also, we have a large range of Posts in timber, concrete and steel. We supply to wholesale and retail customers at the very keen prices. Call and see are fencing on display in our show yard or ring 0402-34703 / 34887 for full details.